Looking for an alternative to celery? Choose sweet tasting fennel! Place Mahi Mahi on center of large piece of foil or parchment paper. Sprinkle with lemon pepper, salt, cayenne pepper. Squeeze lemon onto filets, along with olive oil. Loosely wrap mahi mahi in foil or parchment paper and bake at 400 degrees F for 15-20 minutes. While fish is baking, saute onions and fennel in oil until soft. Add thyme, salt and pepper. 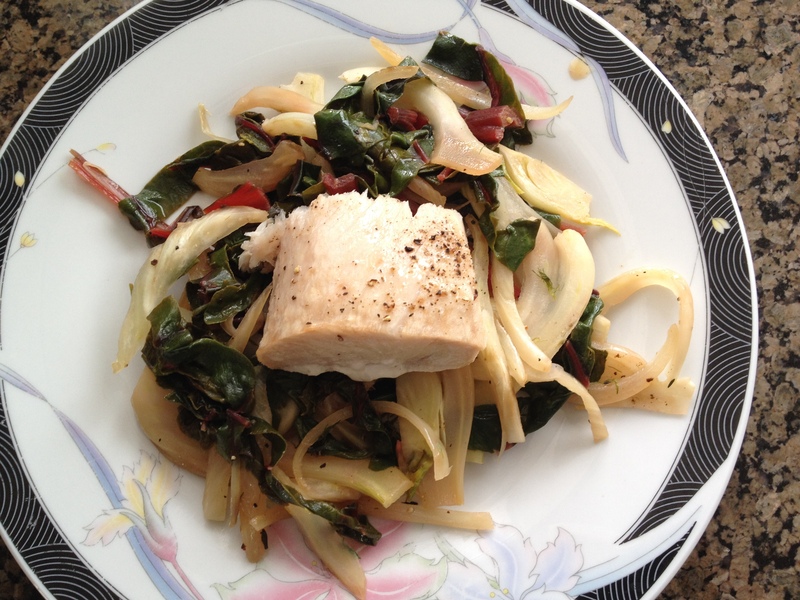 Toss Swiss chard ribbons into pan and continue to saute for 3 minutes. Add chicken stock, lemon juice, and balsamic vinegar. When fish is cooked, serve on a base of fennel veggie mixture. 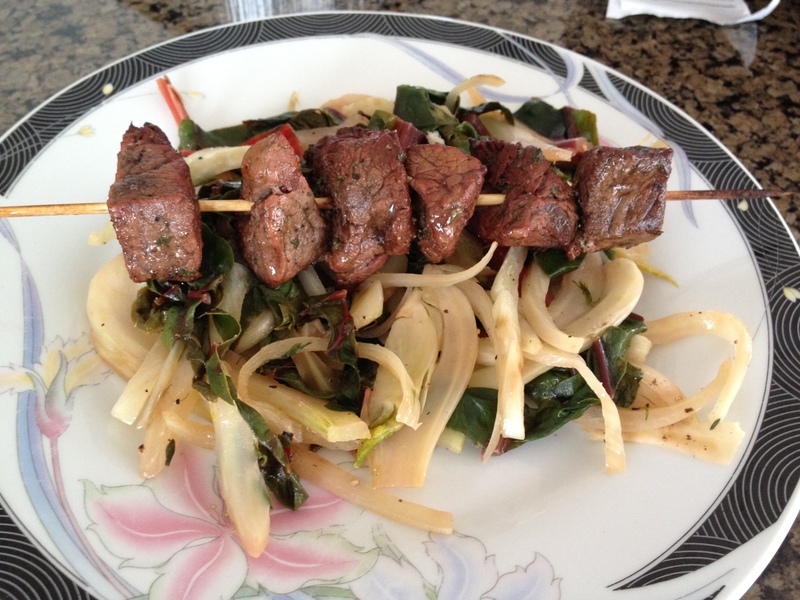 Note: You can also use fennel veggie base as side dish for chicken or beef.